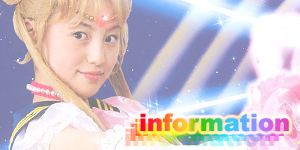 Minako tells Artemis that she will quit her job as an idol. She explains to him that she was reborn to complete her past life's mission and not to spend it on trivial matters. Artemis is shocked but she tells him that she'll arrange to tell her manager over lunch tomorrow. In Crown, Usagi tells the others how Mamoru is still a good guy because he's trying to save the planet Earth. She also tells them that she has to try stop using the Imperium Silver Crystal's power that lies within her as every time she does Queen Metallia gets stronger. Makoto, Rei and Ami tell her that they'll be there to support her. 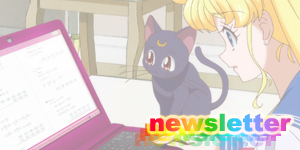 Luna tells Usagi that she was right all along: Mamoru is not the enemy. Just outside, Mamoru has come by Crown to see Nephrite. Motoki explains that he's a new live-in worker for the place and then leaves to do some work. 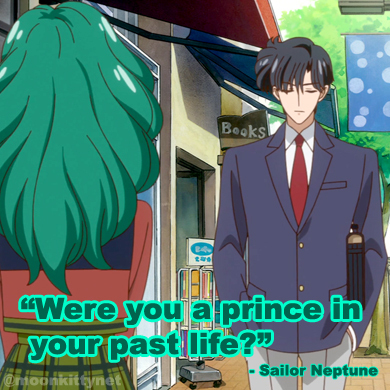 Mamoru tells Nephrite that he had heard he was here and came to see for himself. Nephrite begs him to take him back as he's feeling dishonoured working here. Mamoru tells him it's for the best and that Motoki is a good guy and then leaves. In the Dark Kingdom, Queen Beryl tells Jadeite that he is the only general she can trust because even after she almost killed him, he is still loyal to her. At lunch, Minako tries to tell her manager that she wants to quit but he cuts her off at every opportunity and talks her into doing a new commercial and song. Artemis, seeing how unhappy Minako is goes and talks to Rei. That afternoon, Minako is shocked to see Rei, in her Mars Reiko costume hanging with her manager. He explains that she's a new talent and that she will do Minako's commercial and the new song as she doesn't seem to have the motivation any more. As Rei begins and very cool photo shoot and everyone praises her, Minako tells herself that she doesn't care because she is quitting, though her rivalry with Rei is slightly ignited. The manager then organises a tv game show with Rei the leader of one team and Minako on the other. 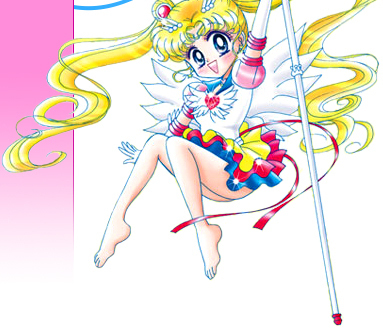 Luna, Makoto, Usagi and Ami are then divided between the two separate teams and they go through several different competitions such as leaping onto a Velcro wall and Gladiator style knock offs to win. Rei and Minako watch both of their teams from a booth with a giant balloon of white powder above both of their heads. Each time a team loses their balloon grows bigger. 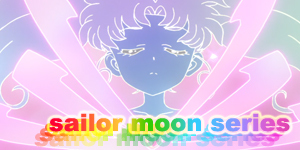 Eventually, Rei's team wins and the balloon above Minako's head explodes covering her in white powder. The manager then announces a final round involving everyone where they have to pop small balloons attached to their bodies. All the girls including Minako have a great time and forget anyone else is in the studio and continue to play. The manager, happy Minako is happy, signals to the crew to leave. He also makes his exit. 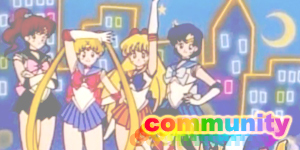 Later as Usagi, Makoto, Ami and Luna walk home they express how happy they are to have finally hung out with Minako as a friend. Suddenly, Luna senses a Youma's presence and they run to the location to find several of them. 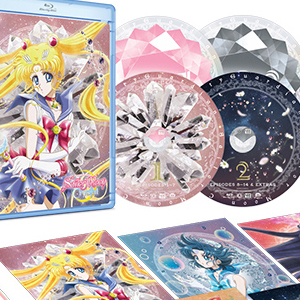 They all transform and battle them while, back in the studio Minako records her new single. Later that afternoon as the sun set, Rei meets Minako. Minako asks if Rei was behind the whole thing and she says she was though not to get her to sing, to get her to want to live. She tells Minako that if she was her and even though the operation had a one percent chance of success she would still risk it. Minako hesitates and then yells at Rei that she doesn't understand the gravity of their mission and walks away, leaving Rei alone. 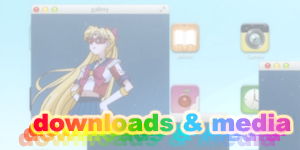 As Minako walks, her path is blocked by Artemis who whispers her name. Suddenly a tear falls from Minako's eyes as she recalls the fun she had with the girls earlier. She hugs herself and begins to cry. The cowgirl costume Rei wore in this episode is exactly the same one she wore in Act 23 when she first went by the name "Mars Reiko" a combination of Sailor Mars and Rei Hino. 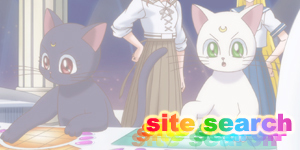 This is episode is the first one not to end with the moon cycles appearing on the screen. 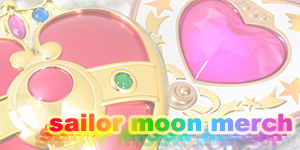 Instead, to match the emotional shot of Minako dealing with her mortality the screen simply fades to white the series logo appears.